e13 has been fantastic customer service in the very rare instance or two of having an issue with a product of theirs. This is a brand new, never opened Garmin Edge 130 computer with the sensor bundle. The cadence and wheel speed sensor are included with this. 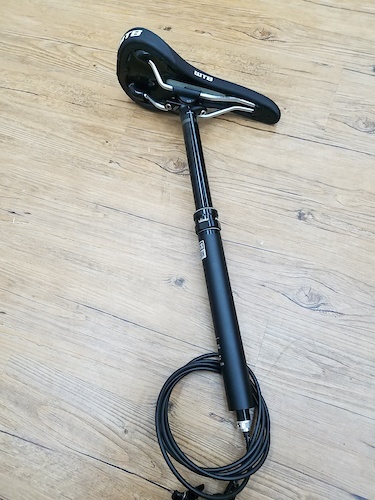 The simple mount is also included, so you can attach this to your handlebar or stem with the included rubber band attachments that cross on the backside of the bar/stem. I got this as a gift, but don't need it. I tried to give it back to who gave it to me, but was told to sell it instead. The biggest downside to Time pedals is they last so long that I'm riding several generation old sets. 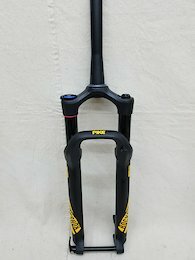 The biggest benefit to CB pedals is they are light enough that bringing a spare set only weighs as much as regular pedals. You will need this spare set because CB pedals will blow up and ruin your ride too often. Something about that chinbar and British teeth......ummmm, not too worried about looks. Don't forget about being unable to buy Hutchinson Toros when shopping for bicycle tires. That's another bummer. 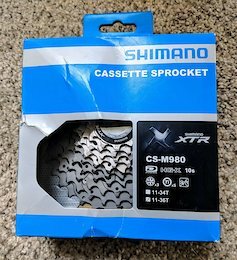 This is a new, in the box cassette. That tread pattern looks like a Schwalbe G-One Allround. It looks like the need to read other reviews stops here.